The South Dakota law firm of Beardsley, Jensen & Von Wald was established by lawyers who collectively have more than 100 years of broad-ranging legal experience. The founding partners carry the highest rating conferred by Martindale-Hubbell. The firm is dedicated to providing quality, cost-effective legal services to litigation, business, and environmental clients. Our attorneys help clients and try lawsuits in South Dakota, North Dakota, Wyoming, Nebraska, and Minnesota. Our Commitment. We believe the practice of law is dedicated to preventing legal disputes and to resolving conflicts promptly, creatively and cost-effectively. This is the commitment we have made to each other as attorneys, and this is the promise we continue to make to you. Our Experience. Our partners have more than a century of experience in helping clients in private civil litigation, administrative law, representation of government entities and service as corporate counsel. We have developed expertise in several specialized fields, including personal injury, insurance defense, construction law, employer-employee relations, medical and health care law, professional negligence, business litigation, workers' compensation, and environmental and mining law. Our Mission. We are dedicated to providing skilled legal service and innovative thinking to help our clients achieve the best possible result. We believe that effective lawyers and law firms must respond creatively to meet the rapidly changing needs of business and institutional clients. By understanding our clients' needs, we are prepared to respond promptly with planning and negotiation resources, as well as the expertise to effectively help our clients in civil and criminal litigations, administrative hearings, mediation or arbitration. Injured people, their families and lawyers seeking the best possible representation for their clients turn to us when a personal injury case requires a law firm with a professional, experienced approach. Beardsley, Jensen & Von Wald is recognized as one of the leading trial firms in South Dakota. With highly respected lawyers committed to teamwork, professionalism and diligent attention to clients' needs, the firm has a history of achieving excellent results for its clients, while striving for outcomes that are positive for the community and society at large. Our lawyers bring a variety of strengths and talents to each case. We work as a team. From intensive discovery and legal analysis to courtroom advocacy, our attorneys collaborate to build strong and effective cases. Recognized results This approach has helped our firm achieve widespread recognition. Our lawyers are influential in bar organizations and other professional activities. We are dedicated to winning your case. We focus our resources in the best way possible to achieve the very best result. Gary represents clients in personal injury lawsuits, commercial litigation, construction, insurance disputes, health care concerns, family law issues and professional negligence cases. Gary tries cases to juries and judges in both state and federal courts. He argues cases in appellate courts. He handles cases in tribal courts. Gary represents defendants and plaintiffs at all levels of the legal system. 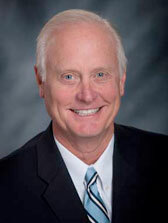 Gary was selected Trial Lawyer of the Year by the South Dakota Trial Lawyers Association. He has held the highest possible rating from Martindale-Hubbell for many years. He was elected by his peers to membership in the American Board of Trial Advocates. Gary's pastimes include fly fishing and hunting. He is an avid baseball and basketball fan. He enjoys music, especially on his walk at the end of the day. Gary is fully committed to doing whatever it takes to achieve the best possible result for every client in every case.